BMS Jazz Series: Leon Boykins @ Fowler Square, Fulton and Lafayette Aves., 5:30-7:30PM, FREE. 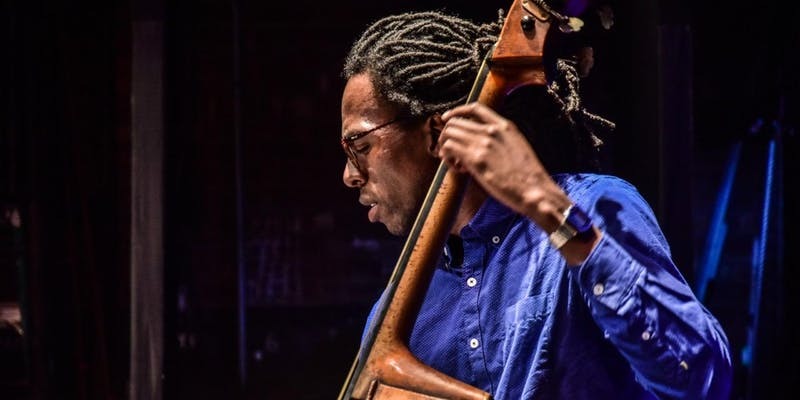 Fulton Area Business and the Brooklyn Music School’s jazz jam sessions continue with this creative bassist, composer and educator. Kick off your weekend with this soulful performer who blends tradition with innovation. Boykins is a Down Beat Magazine outstanding soloist. Carlos Russell Going Home Service @ Brown Memorial Baptist Church, 484 Washington Ave., 2-4PM, repast to follow. Celebrate the life and legacy of the Father of Black Solidarity Day. Russell was a resource for those who wanted to study their heritage and live with a conscious awareness of the power of a unified people. Black Girl Magic 2018 @ Achievement First Brooklyn H.S., 1485 Pacific St., 9AM-3PM, FREE. Celebrate the universal power, strength and beauty of Black girls and women ages 5-18 and older. Attend workshops on self-esteem, affirmations, behavioral health, etc. Speakers include: Tremaine S. Wright, 56th A.D. Assemblywoman; Rev. Dee Dawkins Haigler, Georgia State Secretary candidate; and Autumn B. Williams, Exec. Director of the African School for Excellence in Johannesburg, S.A. Register at Eventbrite. Madeleine Yayodele Nelson: A Celebration of Her Life & Legacy @ Symphony Space, 95th & Bdwy., Manh., 4PM, doors open at 3:30. 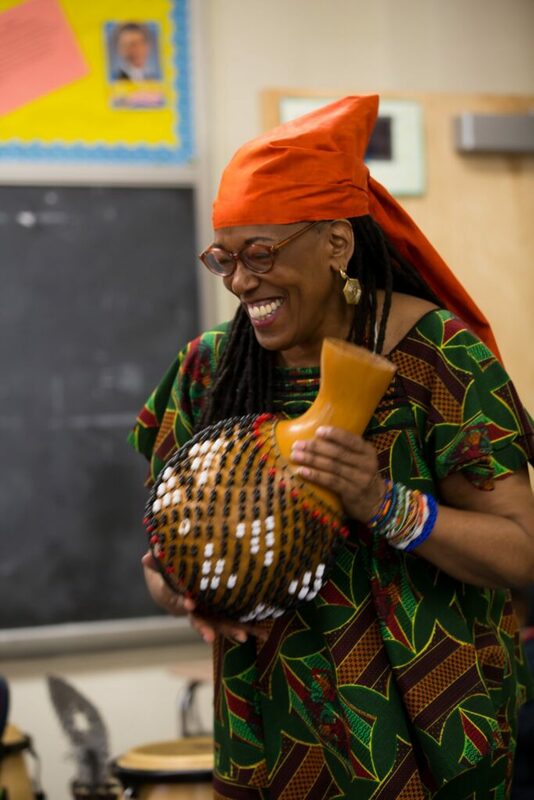 The multi-instrumentalist, Shekere maker and master, will be honored for her contributions to the popularizing African music and culture. She delighted and educated audiences and empowered women by example and through collaboration. This memorial is sure to be filled with uplifting rhythm and song. 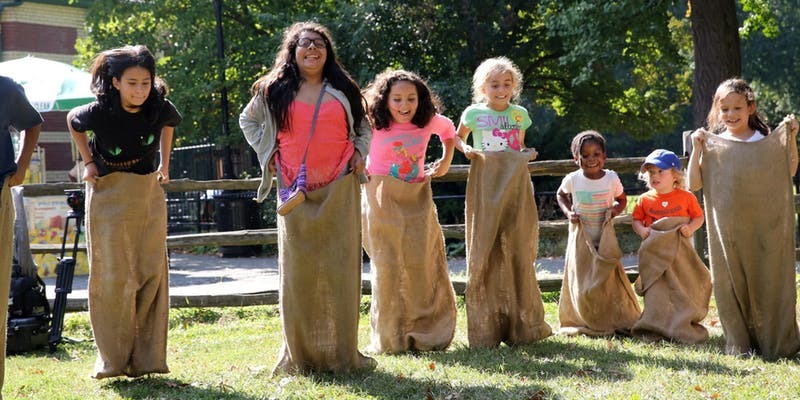 Fall Feast at Prospect Park, Lefferts Historic House, 452 Flatbush Ave., 1-4PM, FREE. Come celebrate this year’s harvest at the Lefferts Historic House. Harvest, cook and eat potatoes that were planted in our garden back in May. You can also challenge friends and family to potato sack races! Register at Eventbrite. Open House for Jobs at Industry City, Innovation Lab, 87 35th St., 2nd fl., 10AM, FREE. Industry City is hiring Longshore Workers ($20 hr. plus benefits) and Overnight Recycling Quality Assurance Workers ($17 hr., $19 after 90 days, plus benefits). Longshore applicants must be veterans or live in the 11230, 11232 or 11231 zip codes. Recycling applicants must live in either of these same zip codes. Each position has other particular requirements. Bring your resume and photo ID. 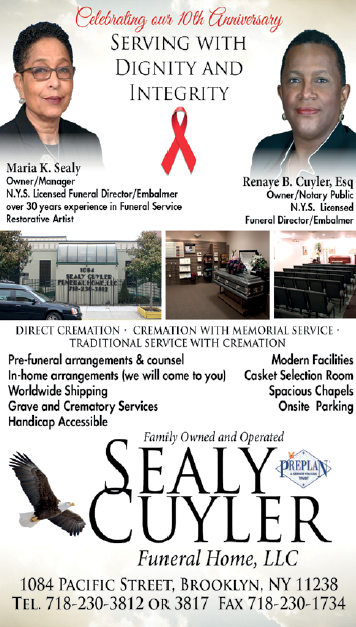 Find out more at 718-801-8970. Game Night at Sistas’ Place, 456 Nostrand Ave., at Jefferson. 8PM and FREE. Play Chess, Dominoes, Bid Whist, Scrabble and more! Join In, Enjoy & Relax! For more info call 718-398-1766. Brooklyn: A New Home, A New Life at Brooklyn Historical Society, 128 Pierrepont St., 12-5PM, Sugg. Adm.: $10, $6 for seniors & teachers, free for students w/ID & children under 12. The outgoing 2018 BHS Teen Council curated this exhibition featuring stories about immigrants in Brooklyn. Included are icon Shirley Chisholm and Ravi Ragbir, a contemporary immigration activist. Not all are immigrants, but each represent how Brooklyn has been shaped by the many international ties within its vibrant and varied communities. Wed.- Sun. until Spring 2019. BMS Jazz Series Finale: Duane Eubanks @ 7 Corners, Fulton and S. Oxford Sts., 5:30-7:30PM, FREE. It’s in his blood. Duane Eubanks is part of a highly successful jazz family, yet he took it to another level, crossing over to play and record with the likes of Alicia Keys, Talib Kweli, Mos Def, Wu-Tang Clan and others. A recipient of the 2013 Philadelphia Education Fund EDDY Award, jazz education is a large focus for Duane when he’s not performing or touring. The BMS Jazz Series is honored to have him once again close out our summer-fall season with an inspiring performance! Louis Armstrong Continuum Symposium @ Columbia University Skyline Dining Room, Faculty House, 64 Morningside Drive, 6-8PM, FREE. Columbia University Center For Jazz Studies and The Louis Armstrong Educational Foundation will explore Armstrong’s influence on social justice. Panelists include Prof. Robert O’Meally, moderator; Hon. Ras Baraka, Mayor, City of Newark; Prof. Michael Eric Dyson, Georgetown University; Dr. M. William Howard, Jr., Clergy & Human Rights Activist; and Marc H. Morial, President/CEO, National Urban League. RSVP at Eventbrite. Tickets are going fast! Town Hall Meeting: What to Do When Stopped by Police, Teen Challenge Center, 444 Clinton Ave., 6:30PM, doors open @ 6, FREE. Panelists are Kenneth J. Montgomery, former prosecutor and state criminal defense attorney; Steven Lynch, criminal and civil rights attorney; and Anthony L. Ricco, federal, state and capital defense. Sponsored by Olanike Alabi, District Leader, 57th A.D.